‘Tis the Season, Give a Pint! 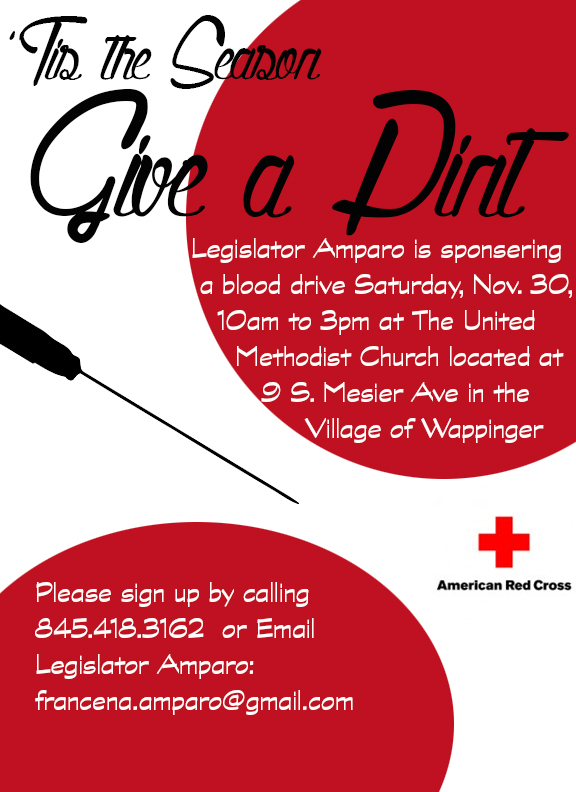 Posted in Events, Image format and tagged Blood Drive, Dutchess County Legislator District 14, Francena Amparo, United Methodist Church, Wappinger Falls on November 22, 2013 by Dutchess County Legislator Francena Amparo. ← WEDC: Only 15 Days Left Until the Holiday Mixer!